We Victorians do a lot of things well – like laneway bars, live music and coffee. But, as craft beer aficionados will tell you, our commitment to microbrewing is just as strong. Our state is home to more than 30 microbreweries, many of which sell their award-winning brews across the country. These breweries are dotted across the state, with many open to the public and complete with on-site restaurants and bars. Craft beer, cider and pizza? We didn't need any incentive to organise a day trip or a weekend away, but you've twisted our arm. Here's our guide to five Victorian microbreweries worth the petrol price. Drink up! It's been five years since the little brother of Western Australia's Little Creatures, White Rabbit, opened its doors in the Yarra Valley. The launch beer, White Rabbit Dark Ale, won gold at the Australian International Beer Awards the following year which spawned an offshoot, the honey-conditioned White Ale. White Rabbit have also just launched the Belgian-style Pale Ale, which has quickly become an office fave on a Friday arvo. White Rabbit HQ is a sleek, contemporary space with an Alice in Wonderland-inspired décor and concrete floors. You can sink White Rabbits – or grab some for the road – while enjoying a piping hot pizza from the in-house pizzeria, open seven days a week. And when you don't have time to leave town, land your White Rabbits from Little Creatures in Fitzroy and Geelong. The brewery's open every day of the year apart from Christmas. About an hour's drive from the city. Healesville is a major tourist destination packed with shops, cafes and attractions such as Healesville Sanctuary. The Healesville Hotel features an award-winning restaurant with an emphasis on seasonal produce and local wines, while Mocha and Lime is a family-friendly café with the best coffee in town. There are lots of antique stores and second hand bookstores in the area, so be prepared to waste away an afternoon. The town is packed with cozy B&Bs including the Tuck Inn – set in a former Freemasons meeting hall built in 1918 – and Cherry Blossom Bed and Breakfast. The Healesville Hotel has seven spacious restored rooms and easy access to all the town's attractions. The folk at Bridge Road Brewers like to push the envelope. For a decade now, they've been adding to their core collection of brews, which now includes more than 10 beverages including the classic Golden Ale, the Celtic Red Ale and the German-style wheat beer Hefe Weizen. But, as if that's not enough, they've also created a range of special releases such as the Posse Winter Ale – the perfect accompaniment to a cold afternoon. 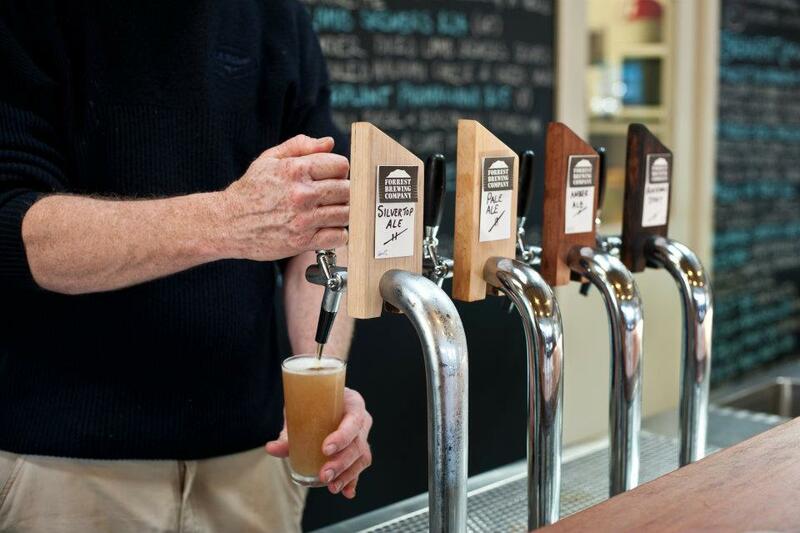 All these drops are available at Bridge Road Brewer's Beechworth brewery, which features a relaxed pizzeria and bar on site. Brewery co-owner Maria hails from Austria and her house-baked pretzels are the stuff of legend – just get there early, as they sell like the proverbial hotcakes. About three hours' drive from the city. One time gold rush town Beechworth is packed with plenty of historical attractions, including displays devoted to Ned Kelly (the bearded bushranger spent time in the local prison). The famous Beechworth Bakery, which celebrates its 30th anniversary this year, is a must visit for its award winning pies and cakes. Sweet tooths will also want a visit to The Beechworth Sweet Company, one of Victoria's best confectionary stores. Romantic getaway? Check out StoneTryst Spa Villas, three contemporary sleek villas with panoramic views of Beechworth Gorge, double spa baths and gas log fireplaces. For something a little more traditional, make a booking at Finches of Beechworth, a centrally located bed and breakfast retreat paying homage to the building's Victorian heritage. Image credit: Forrest Brewing Company Facebook. Haven't heard of the tiny Otland Hinterlands township of Forrest (estimated population: less than 200)? You're not alone. But once you've checked out the area's natural beauty and spent a lazy afternoon at Forrest Brewing Company, you won't be forgetting it in a hurry. Brother and sister duo Matt and Sharon Bradshaw opened the microbrewery, in the town's former general store, in 2010. Four drinks – pale ale, stout, silvertop and Irish red – are handcrafted, brewed and bottled on site. Accompany your beer of choice with breakfast, lunch or dinner. The lunch and dinner menu helpfully matches each dish, such as Barwon lamb cutlets or a marinated mushroom burger, with the most suitable beer. Who are we to argue? (Editor's note: they also do an amazing array of sweet treats for arvo tea if you're exploring the charming little township). About two hours' drive from the city. The Forrest region is regarded as one of the country's best for mountain biking, with more than 60 kilometers of sign-posted single track. Bikes are available to hire in the township – as are experienced guides, if your navigation skills are lacking. Popular bushwalking routes include the 7km path from the township to Lake Elizabeth, where you can also hit the water on a platypus canoe tour. There are several free campsites in the area, including one at Lake Elizabeth with views over the beautiful area. Elsewhere, there's a range of eco-friendly B&Bs and retreats including Ti Tree Cottages and Retro Retreat. Another of the most loved breweries in Victoria is in the picturesque Bright. 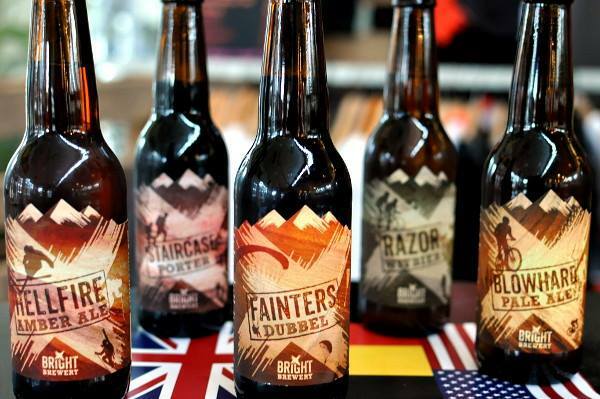 Want to know the secret behind Bright Brewery's award-winning beers? The answer is a combination of fresh mountain water, quality ingredients and hops sourced from all over the world – including down the road at Ovens. Drop by the Great Alpine Road bar and restaurant to sample from the brewery's six mountain-crafted beers and seasonal brews (across 24 taps, no less) and enjoy a menu of pizza and pub dishes. With free wi-fi and even an adventure playground next door, there's no reason to leave. Beer enthusiasts can get closer to action with brewery tours (Fridays and Saturdays) and even a 'Brewer for a Day' program. Outdoorsy type? You won't find many Victorian towns more enjoyable than Bright. By winter, its close proximity to the snowfields of Falls Creek, Mt Hotham and Mt Buffalo makes it a great base for skiing adventures. In summer, Bright is home to great hiking, mountain biking and kayaking options. Unwind in the Alpine Valley wine region, with seven wineries to pick from. Get up close and personal with nature by choosing from several caravan parks and campsites. We recommend the Bright Riverside Holiday Park, which sits alongside the Ovens River and offers a range of outdoor activities like swimming, fishing and liloing. (Yes, liloing). Image credit: Bright Brewery Facebook. What happens when a group of four mates decide to give up their day jobs and plunge themselves head first into a passion? In 2007, that very scenario spawned Coldstream Brewery. You may have seen their range of beverages – including four beers and a crisp apple cider (thoughtfully available in cans for that next music festival) – in pubs and bottle shops nationwide. The magic happens less than an hour from Melbourne, in a charming brick building at the foot of the Yarra Valley. There's a restaurant on site serving share plates, mains and pizzas every day of the year, while large windows provide great views of the brewers in action. About 45 minutes drive from the city. Coldstream is a stone's throw away from the Yarra Valley's array of attractions, restaurants and outdoor activities. There are more than 80 wineries in the region, including Rochford, De Bortoli and Steels Creek. Many have restaurant on site, and a handful offer accommodation. Finish your weekend by sweating out the indulgence with a hike or cycle through the Yarra Ranges National Park or Kinglake National Park. Try The Gatehouse, two luxurious architecturally-designed units complete with double spa baths and panoramic views, or Brentwood Accommodation which features a restored 1940s four-bedroom cottage perfect for families or groups. Main image: White Rabbit. Tash Sorenson, The Urban List.